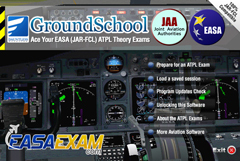 The EASA ATPL Flight Planning and Monitoring test bank contains questions pertaining to 033-05-01 Advanced flight planning aspects for jet aeroplanes . The following list contains only a relatively small percentage of the pertinent questions. Our software, which you are free to download now at no cost, will generally contain a much more complete set of questions associated with this test bank. This list is intended only to familiarize you in a general way with the questions of the Flight Planning and Monitoring test bank. (Refer to CAP 697 figure 4.3.1)For a flight of 2400 ground nautical miles the following apply:Temperature: ISA -1 deg CCruise altitude: 29 000 ftLanding mass: 45 000 kgTrip fuel available: 16 000 kgWhat is the maximum headwind component which may be accepted? (Refer to CAP 697 - figure 4.3.3C)An aircraft is to fly 2500 nm at 0.78M at an altitude of 35 000 ft. What is the fuel required and leg time. Assume that the aircraft (TOM 57 500 kg) will have a 50 knot tailwind and the temperature is ISA +10° . (Refer to CAP 697 - figure 4.3.3B)An aircraft is to fly 1000 nm at 0.78M at an altitude of 39 000 ft. What is the fuel required and leg time. Assume that the aircraft (TOM 45 000 kg) will have a 25 knot headwind and the temperature is ISA. (Refer to CAP 697 - figure 4.4)The MRJT has to hold at a VOR at an altitude of 8 000 ft and a weight of 45 000 kg, what is the fuel flow? The purpose of the decision point procedure is? (Refer to CAP 697 - figures 4.8.1 + 4.8.2)An aircraft is planned to fly a LRC at FL350, ISA -10° C, at an average gross cruise weight of 55000 kg and a Landing Weight (Without Tankered Fuel) of 47500 kg; the wind component is -30 kts and the trip distance 1600 NGM.Calculate the Break Even Fuel Price Destination Airport if the Fuel Price at Departure Airport is 75 cents/US Gallon. (Refer to CAP 697 - figure 4.4)Mean Gross Mass: 57 000 kgAltitude: 10 000 feetWhat is the fuel required for 45 minutes holding in a racetrack pattern? Given:Maximum allowable take-off mass: 64400 kgMaximum landing mass: 56200 kgMaximum zero fuel mass: 53000 kgDry operating mass: 35500 kgTraffic load: 14500 kgTrip fuel: 4900 kgTake-off fuel: 7400 kgFind: Maximum additional load. (Refer to CAP 697 figure 4.3.1C)Wind Component: +50 ktsTemperature Deviation: +10° CAltitude: 29 000 ftLanding Mass: 50 000 kgTrip Distance: 2000 NMWhat is the fuel required and trip time? (Refer to CAP697 figure 4.5.4)A descent is planned at 0.74M/250KIAS from 35,000 ft to 5,000 ft.How much fuel will be consumed during this descent? (Refer to CAP697 figures 4.5.2 & 4.5.3.2)For a flight from B to C:FL3100.74 MISA - 12° C957 NGM40kt tailwindWeight 50,100kgHow much fuel is required to fly to C? The Trip Fuel for a jet aeroplane to fly from the departure aerodrome to the destination aerodrome is 5 350 kg.Fuel consumption in holding mode is 6 000 kg/h. The quantity of fuel which is needed to carry out one go- around and land on the alternate airfield is 4 380 kg. The destination aerodrome has a single runway. What is the minimum quantity of fuel which should be on board at take-off? (Refer to CAP 697 - figure 4.2.2)If the gross brake release weight is 46000 kg, trip distance 150 NAM and temperature ISA +10° C, what is the short distance cruise? (Refer to figure 4.3.5)The following apply:Temperature ISA +15° CBrake release mass 62000kgTrip time 5hr 20 minWhat is the trip fuel? (Refer to CAP697 - figure 4.5.1A)For the MRJT calculate the time, fuel, distance and TAS for an aircraft climbing to 33 000 ft from an airfield at an elevation of 3 000 ft with a brake release weight of 57 000 kg. Assume that the temperature is ISA -10° C.